Original homecoming theme ideas are available; you just have to know where to look. To that end, gathered below are some of the best homecoming themes out there! Homecoming is an annual tradition in many of the schools in the United States. Usually held in late September or October; towns, high schools, and colleges come together, more often than not, around a banquet and/or a football game to welcome back former residents and alumni. Traditional homecoming activities cover a wide array of festivities. From football played on the school's home field, to parades featuring the school's marching band, to the coronation of a Homecoming King and Queen; it's certainly an entertaining week! Although spirit week and the like keeps the school buzzing all week long, there are some creative homecoming themes available out there that can really make this year's event memorable. Here's a closer look at some of those ideas. Now, the homecoming dance is usually a very big deal, but it can be, to borrow a phrase from Emeril Lagasse, kicked up a notch by having a theme. One of those themes can be a Hollywood themed dance. Picture it. Not only do you get a chance to dance, have fun and mingle with your friends, but you can also have the opportunity to get all decked out in a fashion similar to attending the Oscars. The guys can look put together and handsome in a classic tuxedo or a sports coat and slacks combo, while the ladies get to go all the way out. 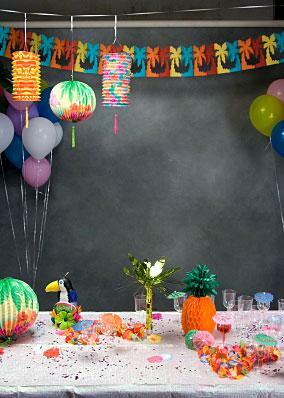 This is definitely one theme that most teens can have a fun time with! One of the great things about a Fairytale themed dance is that there is a little something for everyone. Especially when you consider that not every teen girl or teen boy may have the funds (or the patience for that matter!) to look as if they are attending a high society affair. Not only can you save some serious cash by doing a fairy tale themed dance, but think of how much fun it can be! Instead of being confined to the stale and constricting rules of dressing to be the most gorgeous or the most handsome, teens can express their inherent creativity by dressing up like a frog (the prince before he's kissed of course! ), an old wise woman, or an evil stepsister. Not only will teens have fun guessing which fairy tale you are from, but the end results can he hilarious! Less pressure to look good. Let's fact it, dances are not exactly easy affairs for grown-ups, much less for teens. There's a ton of pressure to have the right look, whether it be the right hairstyle, or the right dress. Having a fresh homecoming theme idea like this one really invites everyone to take part, while taking the pressure off of looking right. This is an oldie but goodie! Whether they are actively participating, or just clapping on the side lines, everyone loves a good dance off. It allows everyone to just get out there, have fun and celebrate. Plus, it's a ton of fun watching your teacher trying to dance. This can be a lot of fun, particularly for teens that feel self-conscious about dancing, or to be frank, are just not very good at it. This theme can be accomplished by renting some poker tables, roulette tables and the like. Ideally, it would be great for this night of faux gambling and dance to be linked to something educational, like winning a class trip to the historical society or something along those lines, in lieu of actual money. This theme is along the lines of Fairytale night, but because it deals with the Renaissance period, and therefore history, this them can also have an educational bent. It can also be a lot of fun spotting famous figures for this period of history. Whatever theme you choose, remember the most important part is to enjoy yourself and make some good memories with your friends.